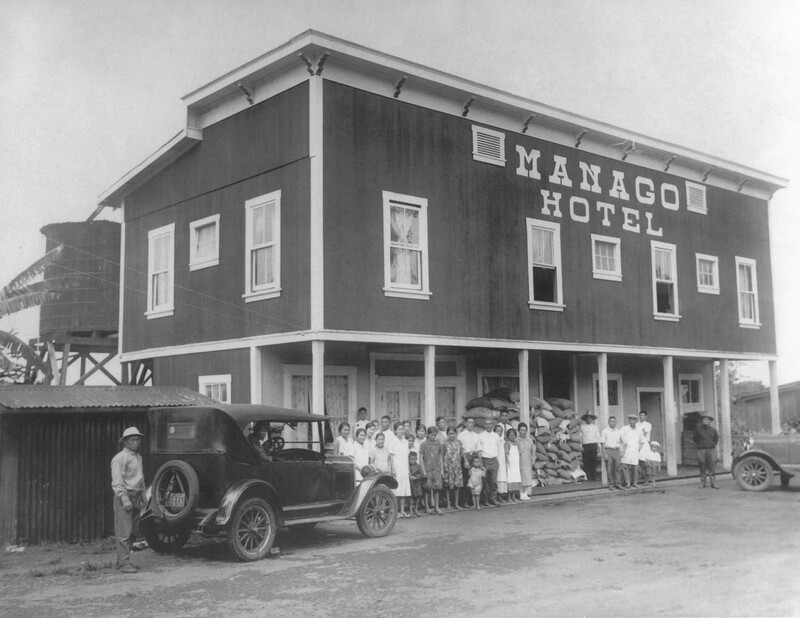 The Manago Hotel was founded by Kinzo and Osame Manago in March 1917. 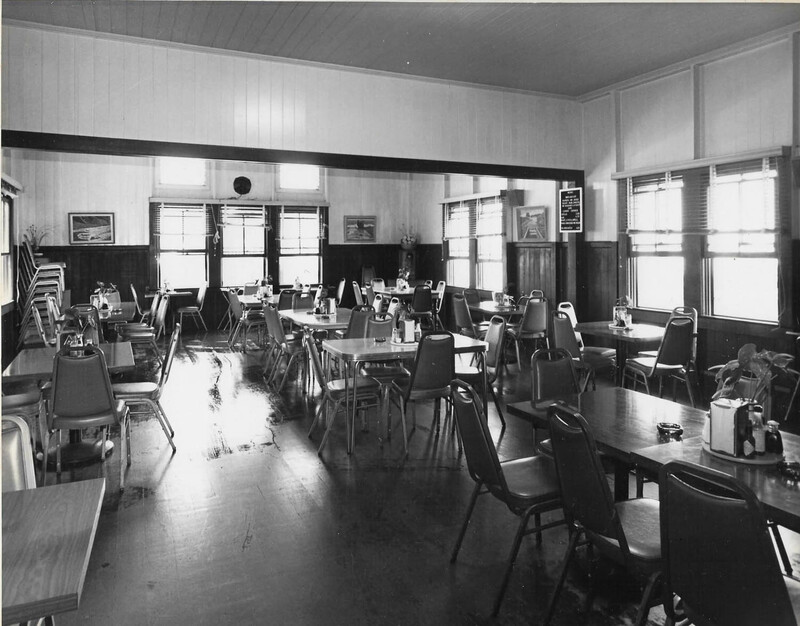 It was then turned over to Harold and Nancy Manago, the 2nd generation, in 1942 who managed the business for 42 years. 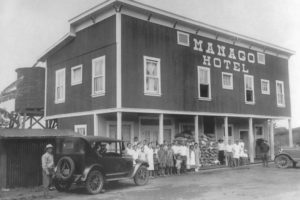 Then in 1984, Harold and Nancy’s youngest son Dwight and wife, Cheryl, Manago took over the hotel and are still running the hotel today. 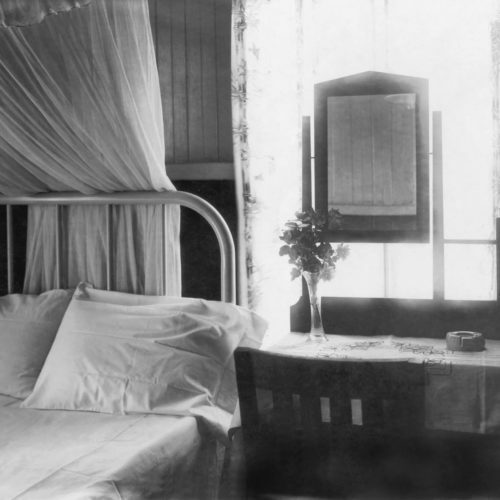 The hotel has a low-key style that makes it a favorite with Island residents. 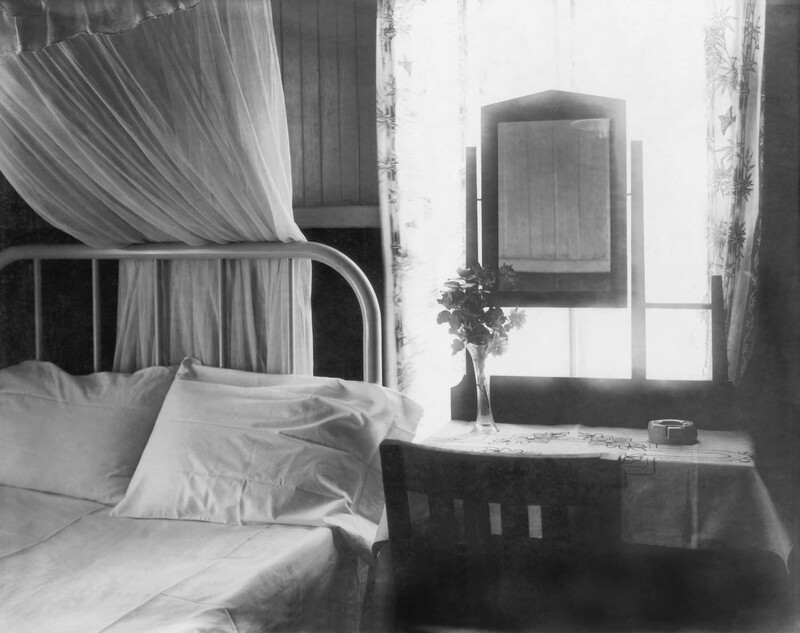 They come for the simple but spotless rooms and rock-bottom prices. 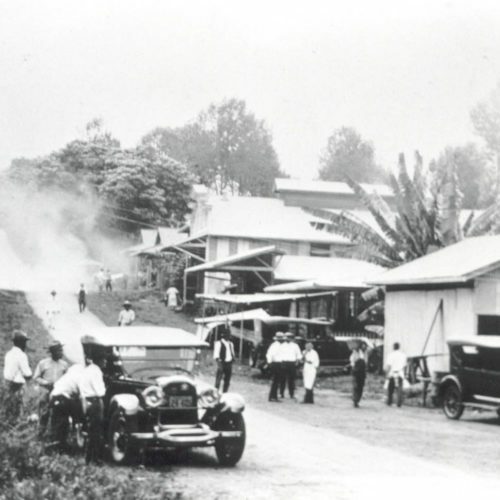 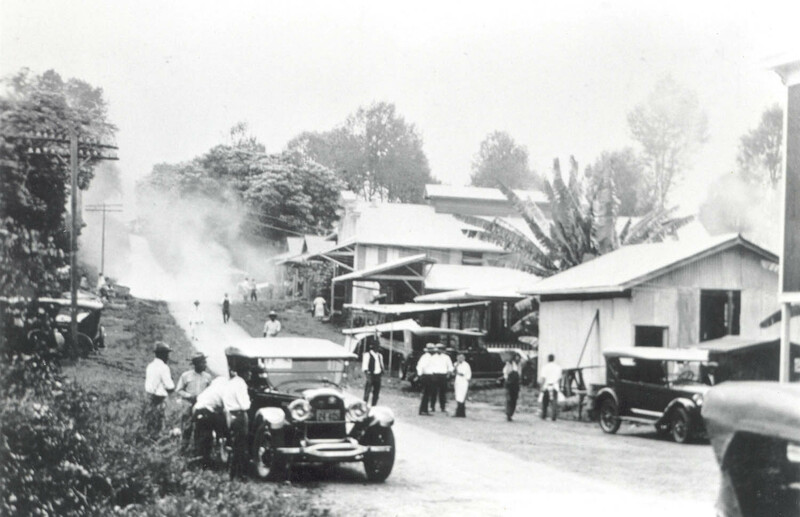 Old-timers will recall stopping by the original hotel and dusting off coffee-farm dirt. 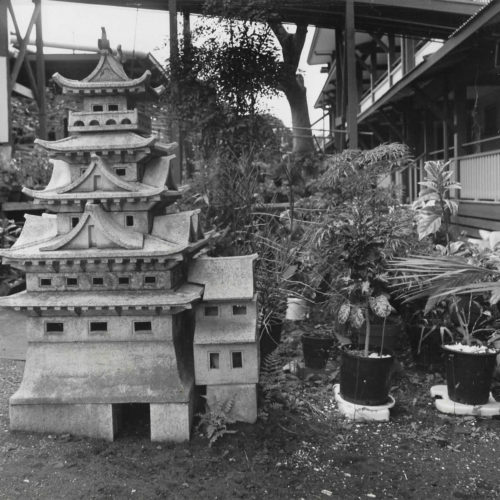 They’d wash their hands at the porcelain basin outside, before going in to eat. 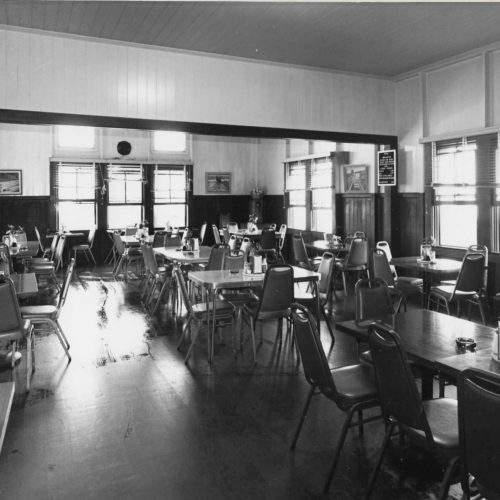 During World War II, the military contracted Kinzo and Osame to feed the soldiers who, at the time, occupied Konawaena School. 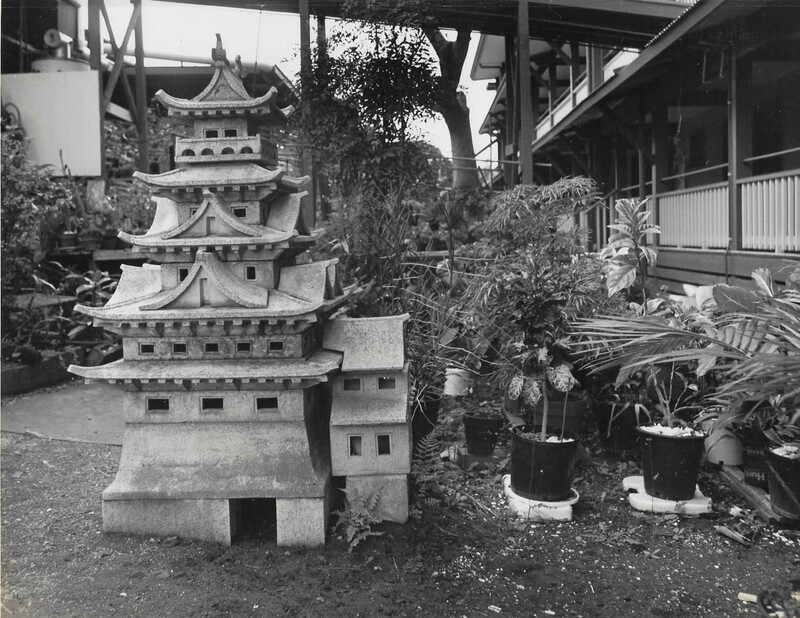 After the war, Kinzo’s son, Harold, purchased the land beneath the hotel to expand in acreage and guest rooms. 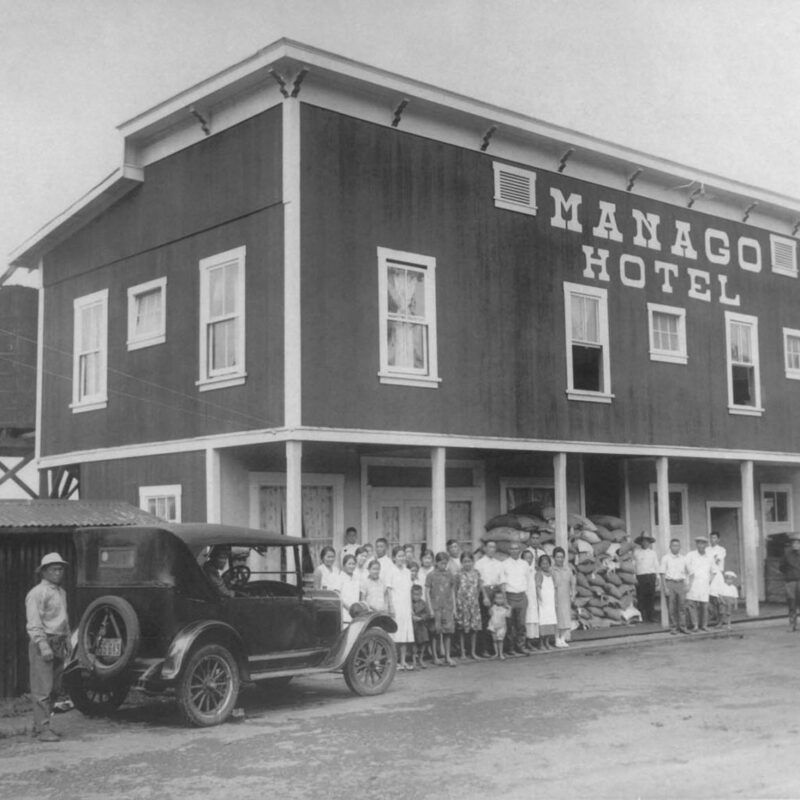 Kinzo Manago never dreamed that the original hotel with two cots plus futons would turn into 64 full rooms, and a new three-story wing overlooking Kealakekua Bay and the City of Refuge.